I recently made my first purchase from the sale over at Black Rose Minerals. I'll be doing a review post about that later, however I got them in the mail today and quickly threw some on (not being able to resist the pretties!!) 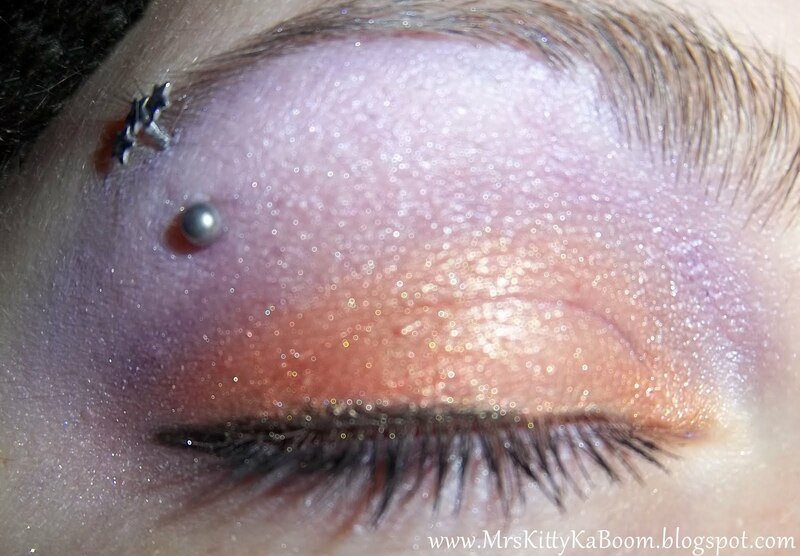 for my EOTD. :D I think it turned out pretty neat! Please excuse the little bit of creasing I have, I'm having some trouble right now with my primer .. well I think its my primer anyway and I've been getting a ton of creasing lately. I opted not to use any primer for this look, and of course got a bit of creasing too. Anyone have suggestions for .. like.. I guess I have deep set eyes? Hooded eyes? Im not sure.. whatever's going on with my eyes. Haha! I just need halp! So what are your thoughts on orange eyeshadows? I just got Denver from BRM and Moist from MPZ, these are my first orange shadows and I can tell you, Im really loving them a lot! I think its going to be super fun to play around with. I can't wait to share with you all what I got from BRM! What have you guys been up to lately? Have you gotten any great deals or know about any sales going on right now? Talk to you soon! 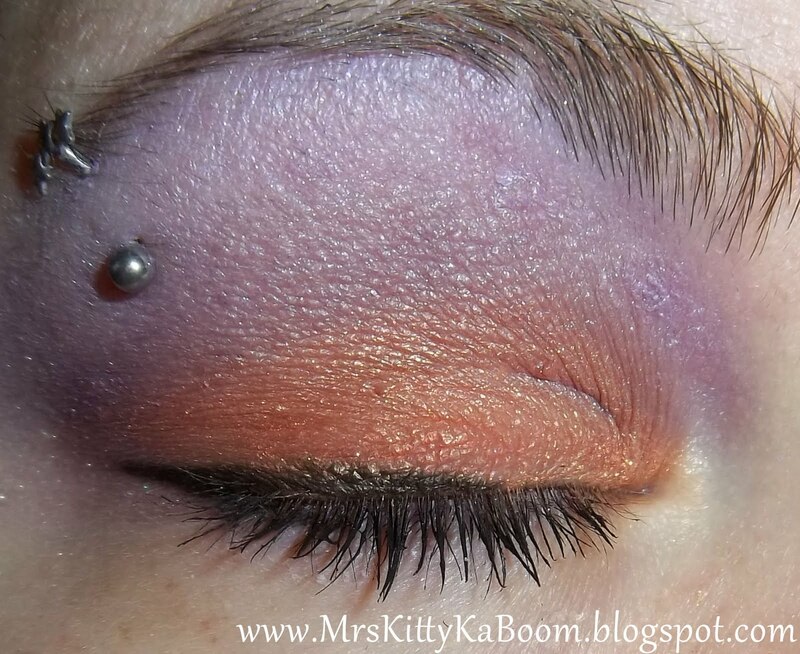 Oh my, I am a huge fan of orange eyeshadows! I just got a bunch of stuff from MPZ as well, you should swatch yours when you get around to it. I can't wait to see the BRM swatches, the shadows you used here look awesome! I ordered from the BRM sale but DAMMIT I didn't get Denver! 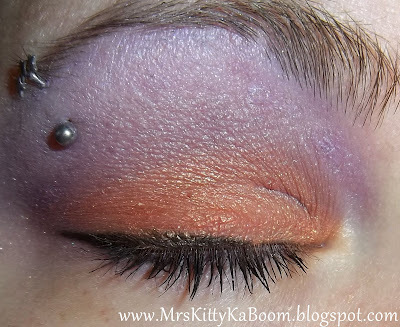 D: I like orange eyeshadow, but I don't use it nearly often enough. @Cassykins : I have been looking for neat looking orange lippies as well recently! Do you have any favorites you could share with me? I'm so fair skinned I'm always afraid they will look odd on me. @VB : oh you gorgeous mind-reader you! :D I just got done swatching my MPZ shadows today! Hoping to have the post up with them this weekend. Im really loving them. All the ones I got are so pretty and unique! @SilhouetteScreams : I almost didn't get it either! I needed one more for my "you pick", and Mr.KittyKaBoom (who likes to help me pick out shadows regardless of his colorblindness) said It looked like I wouldn't like it cuz it was too much on the gold side. However we were both pleasantly surprised when it got here. It's very nice. A creamsicle orange with golden hues. BRM is wonderful!! Denver is a great color and looks fab on ya! !I cant wait to see ur review.. Have u tried Urban Decay Primer potion? It is suppose to help with creasing.. I LOVEEEEE ur eyebrow ring.. omg.. I'm actually really loving MAC's Vegas Volt. I'm on the fairer skin side myself and think it looks pretty awesome (if I'm allowed to say so about myself, lol) I also am digging one of the Intertubes from Shiro called Rickrolled. It's a little bit more of a rusty orange which will be great for fall.